TGIF!!! We are on our way to Garden City, Kansas today for some indoor water park fun!! That is what us land locked people do this time of year for Spring Break!! Especially when the weather can't decide if it is going to snow, rain or let the wind blow! 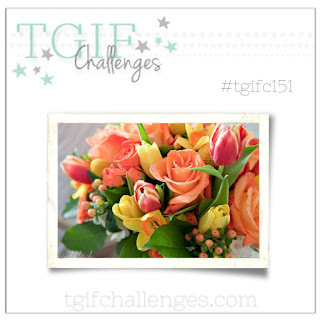 TGIF is back this week for a beautiful inspiration challenge, I am sure that many of you will look at this and think "Flowers"... I took one look at this and went "Ooooo Colors!!!!" 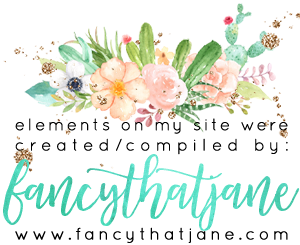 We are creeping in on our last couple weeks of Sale A Bration and I have finally found a fun way to use the Springtime Foil Specialty DSP with the Paisley and Posies Bundle, lets take a look!! POW! It is bright and cheery much like the colors above in the bouquet of flowers. I sponged Melon Mambo, Pumpkin Pie and Crushed Curry onto the copper dot Springtime Foil paper! It has a nice ombre effect moving across the card. Once I had this sponged I wasn't quite sure what to put on this beautiful background, then it hit me! I haven't used this bundle in SOOOOOOO long! 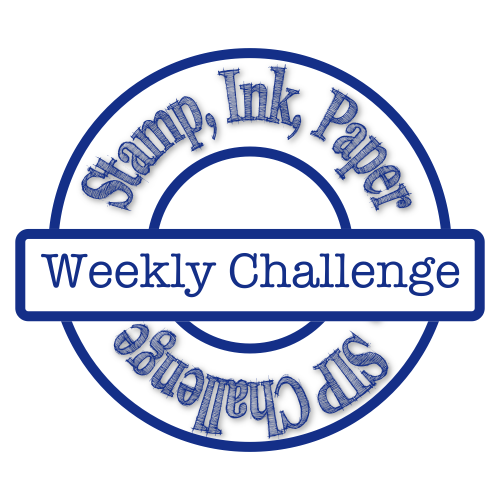 I inked up the various stamps in the colors used to sponge the background and even used a few dies with Copper Foil and arranged them on the diagonal. The card itself didn't need any bling because of the foil dots. 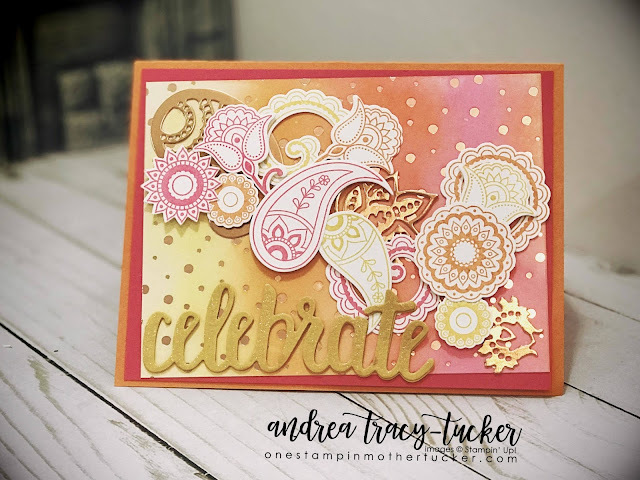 Celebrate seemed appropriate for the fun colors, so it was die cut twice using Crushed Curry Card Stock. The card base of Pumpkin Pie and bright matte of Melon Mambo was just the right touch with this fun, bright card! 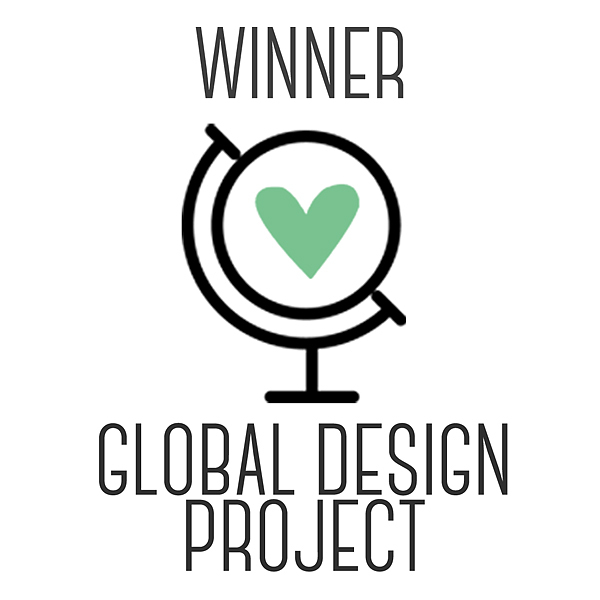 I can't wait to see what inspires you with our inspiration challenge this week! Have a great weekend!